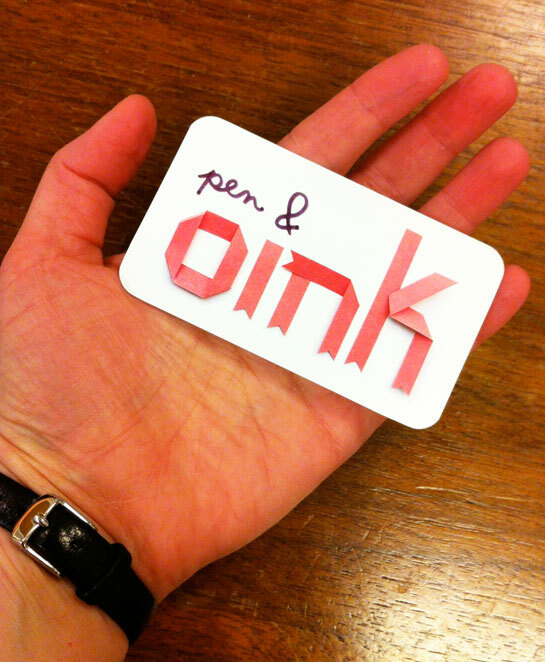 …my promo postcards and get my Pen & Oink business cards printed. Like Robin, I used Vistaprint for the promo cards and Overnight Prints for the business cards. Robin designed our cards and sent us the proper templates for printing. On a whim, I added the rounded corners. And boy am I happy with them. Gosh, they are so well rounded! In the mean time I spiffed up my website following following Robin’s tips here. How’s it look? On to the conference. I’m not such an early bird so let’s just say I got there as soon as I could. I enjoyed my two breakout sessions with an Kate Fletcher, editor at Candlewick Press, and my second with Patrick Collins, the creative director for Henry Holt Books for Young Readers. It was good to hear realistically how things go down; how personal the process is, how each one connects to an author or illustrator’s work and what they are looking for (which is all better explained in the conference official blog links provided). Shaun Tan’s keynote blew me away. I was nervous because it’s often messy to see a hero in person. I’ve been let down (way down) before. He, however, did no such thing. I felt that I was witnessing something truly important, something anyone searching creatively needed to hear. I only wish that it could have been recorded. I read through my notes to try to make sense of all of his quotes to explain here. But it can’t be done. Without the magic of his voice and his accompanying illustrations, it would just sound like random nuggets of philosophy. I may be both paraphrasing and projecting here but what I think I took most from his talk is that although life is incredibly weird, painful and dark, exploring the tiny curiosities and connections through art is a small step to making sense (or maybe just towards acceptance) of it all. Click here for SCBWI’s blog post about it. Lin Oliver emceed the event. Her hilarious interludes and introductions could not go unnoticed. I truly hope she’s considered as a host for the Oscars. 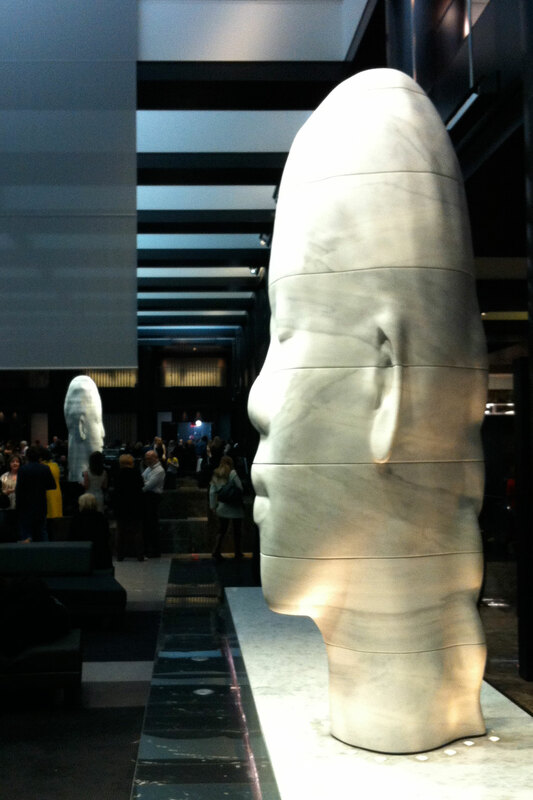 Jaume Plensa sculptures in the Grand Hyatt lobby. I can’t wait for next year, or who knows, maybe even L.A.! *I think I may win a medal for the amount of links and auto-referencing this post contains. Hi Liz!